Joel McHale is an American actor, comedian and television personality. He came into the limelight after hosting E!’s ‘The Soup’ and starring in the comedy sitcom Community. He has starred in a number of movies and TV shows, including Spy Kids: All the Time in the World, Deliver Us from Evil, Assassination Nation, The Great Indoors and The X-Files. In 2019, he has a recurring role as Starman in the fantasy TV series Stargirl. 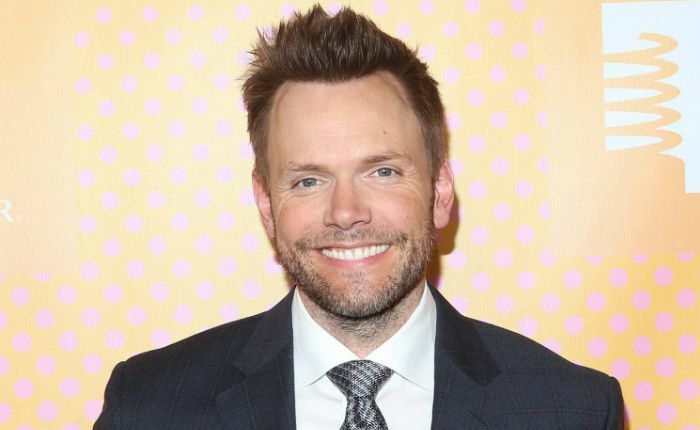 Joel McHale was born on November 20, 1971 in Rome, Lazio, Italy. He has Irish, Norwegian, Finnish, English ancestry. Joel McHale went to Mercer Island High School. He graduated with a bachelor’s degree in History from the University of Washington in 1995. He later enrolled into the Professional Actors Training Program at the University of Washington from where he obtained his Master of Fine Arts degree. Joel was born in Italy to American father Jack McHale and Candian mother Laurie (Jackson). His father worked as Dean of Students at Loyola University Rome Center. McHale married Sarah Williams on July 20, 1996. He met her first after a year of his college graduation in 1995. Shortly after, the two started dating each other after they went on a date the same year. The couple has two sons, Edward Roy McHale, born in 2005 and Isaac McHale, born on March 12, 2008. They reside in Hollywood Hills, California. Joel McHale made his feature film debut in 2004 with Sam Raimi’s superhero film Spider-Man 2 as Mr. Jacks. McHale had his first small screen appearance in a sketch comedy series Almost live! in 1996. He gained enormous fame for hosting The Soup, a satirical weekly television show on the “E!” television network. The budding comedian is also known for his portrayal of Jeff Winger on the NBC/Yahoo! sitcom Community. His own talk show on Netflix, The Joel McHale Show with Joel McHale, which is a complete package of celebrity guests, pre-taped sketches and video clips in a half-hour series that focuses on pop culture and news from around the world. McHale has a net worth of $14 million. He made around $2 million per year from The Soup and $60,000 per episode of Community. He was a member of Theta Chi Fraternity from the Alpha Rho chapter at the University of Washington. Joel has hosted several high profile events including the White House Correspondents’ Association annual dinner in 2014, Independent Spirit Awards in 2011, ESPY Awards in 2015, and People’s Choice Awards and Webby Awards in 2017. He is a die-hard Seattle Seahawks fan. In 2018, McHale starred as Chris on the second season of the Netflix horror-comedy series Santa Clarita Diet. McHale plays Sylvester Pemberton, the Golden Age Starman in the upcoming DC Universe series Stargirl.